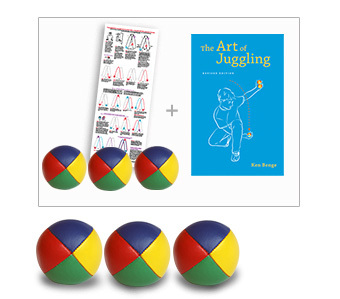 Beanbags are excellent for learning three balls, numbers (four or more) or any juggling where one prefers to use a ball that will not bounce or roll. These beanbags are manufactured from a polyurethane coated fabric for durability. They are constructed with 4 panels, precisely sewn and tightly filled with birdseed. Beanbag Colors: 4 panels in solid colors or two-tone.